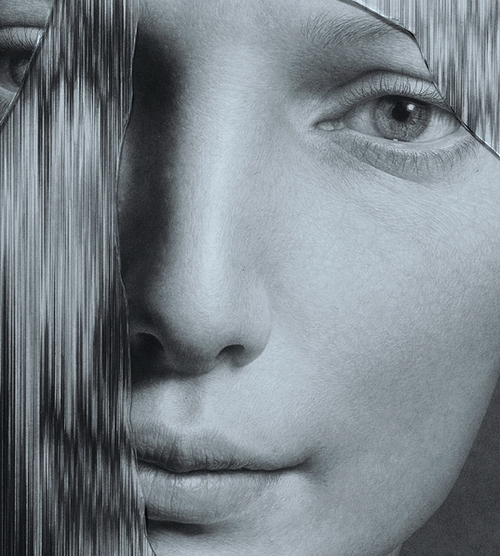 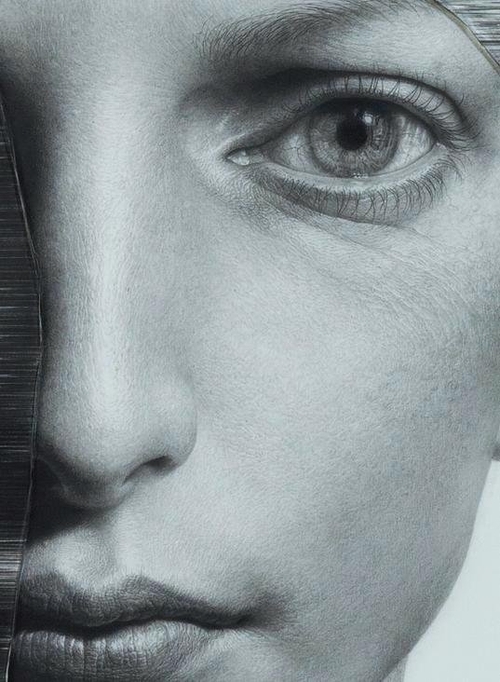 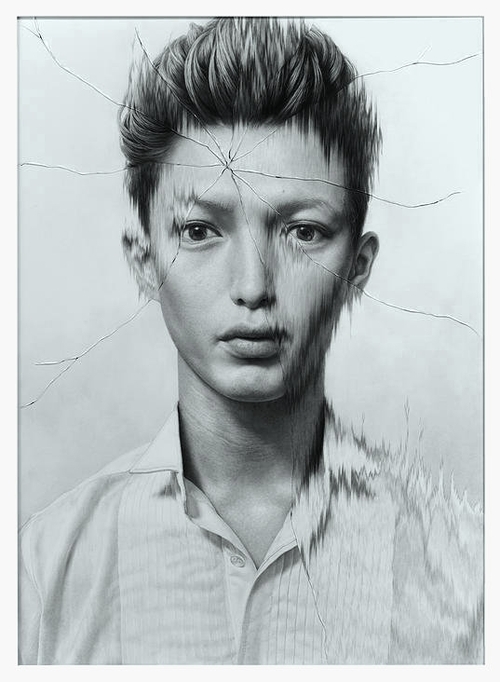 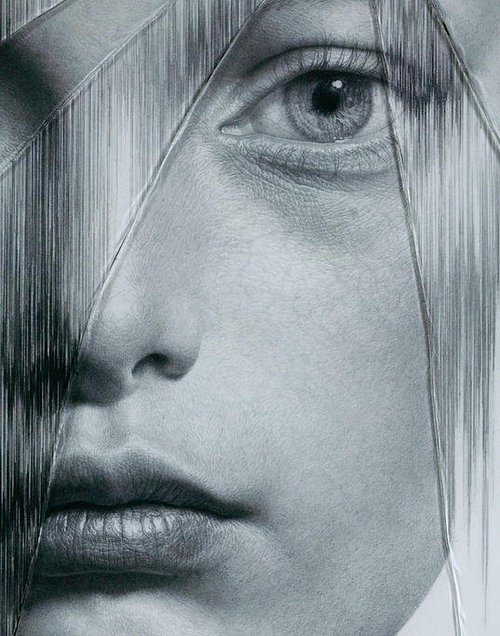 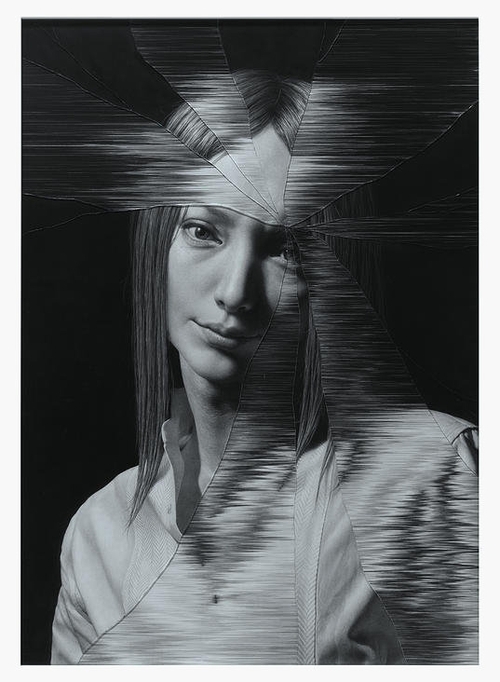 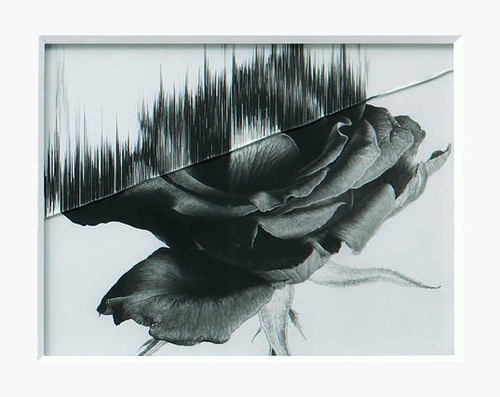 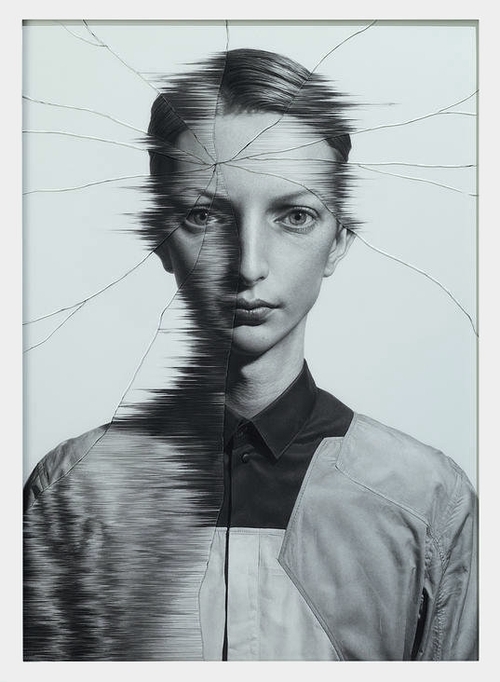 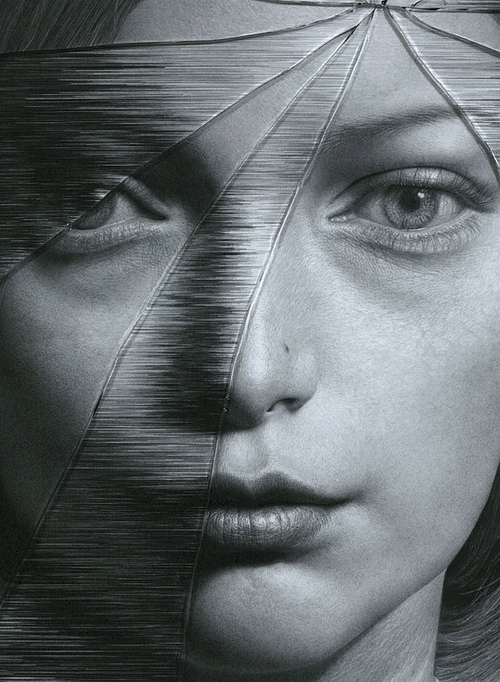 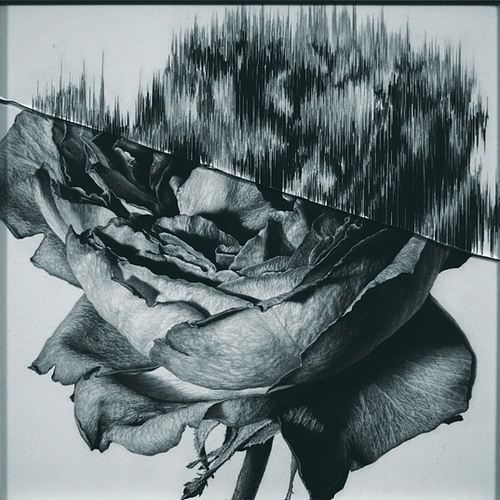 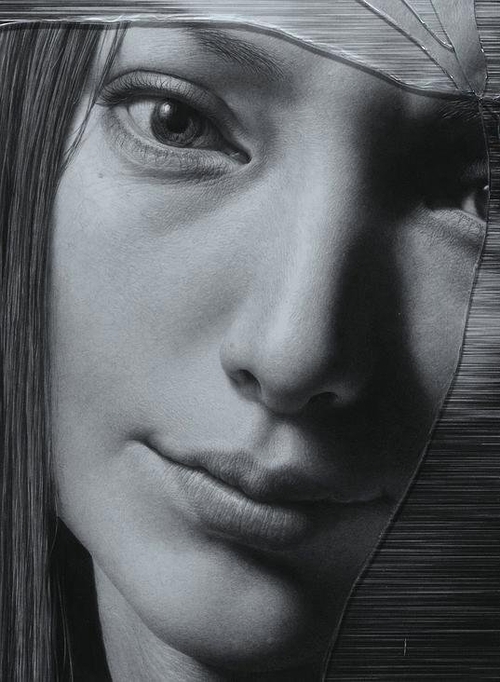 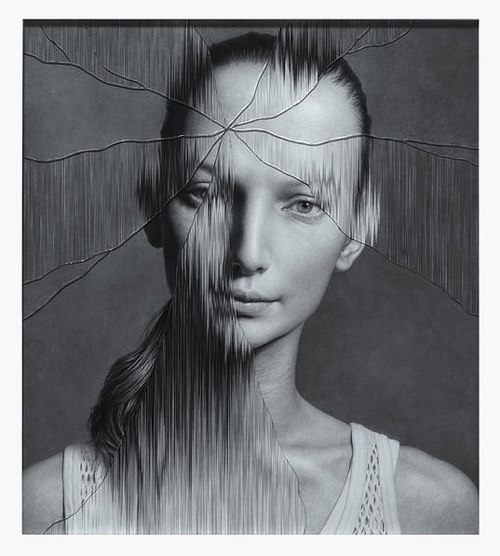 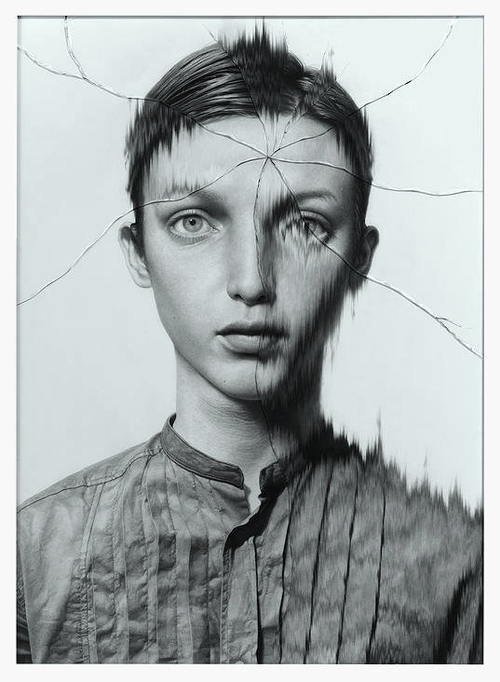 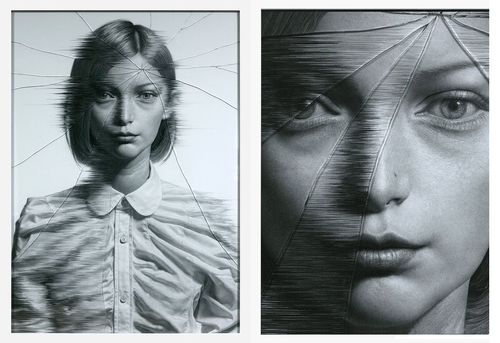 In these Hyper Realistic drawings, Japanese Artist Taisuke Mohri, uses striated shards of glass to deform and stretch, his otherwise perfect Portraits. 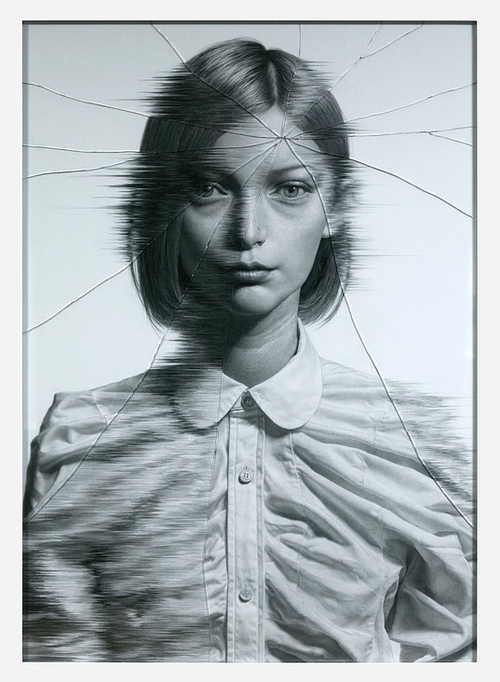 It's an amazing technique, that adds interest thanks to the imperfection that the glass causes. 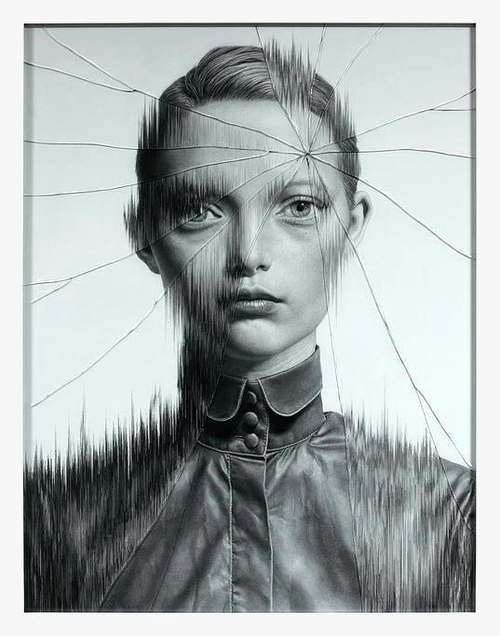 We have included, for most of the drawings, details, so that you can appreciate the effect of the glass and the perfection of the execution of the images.